Devon & Somerset Fire & Rescue Service would like to thank the residents and business owners of Exeter for their support during the major incident in the city centre. Since the fire on Cathedral Yard started in the early hours of Friday morning, roads have been closed, cordons put in place and businesses closed to protect public safety. Despite the inconvenience, the Service has been overwhelmed by messages of support, offers of assistance and complimentary food and drink to help sustain the large number of firefighters who have been working around the clock to bring the fire under control. 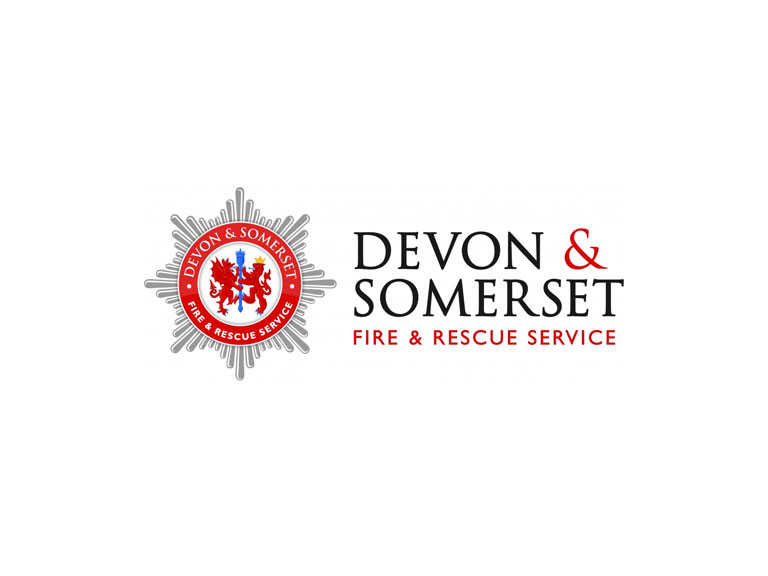 Cllr Mark Healey, Chairman of the Devon & Somerset Fire & Rescue Authority, said: “The support of the public has been amazing. I visited the scene yesterday with the Chief Fire Officer and we spoke with a number of local business owners to say thank you for their support to our crews. At the height of the incident, 150 firefighters were at the scene with nearly 30 pumping appliances and an unprecedented four aerial ladder platforms were being used to prevent the fire spreading to other historic buildings. Chief Fire Officer Lee Howell said: “This was an intense fire affecting several historically important buildings in the heart of the city. The complex nature of the building construction, especially the roof structure, made this a very difficult incident to deal with. “It was an incredible effort by firefighters to stop the fire spreading to other heritage buildings on the High Street. Due to the period in which the buildings were constructed, the gap between the back of the hotel and the adjacent properties was very narrow and the fire was threatening to bridge the gap and spread further. Site inspections are being carried out by structural engineers and demolition work on the remainder of the Royal Clarence Hotel is likely to start this week. It will be a difficult and challenging process that will take some time. Therefore, while some roads will be able to re-open, cordons will continue to be in place around the immediate vicinity of the affected area. The majority of the city centre remains open for business. Mr Howell added: “We have had crews at the site now for more than three days but we cannot be complacent. We will continue to dampen down hotspots, check for potential re-ignition and support the demolition process for as long as necessary. Hi, I am Paul Slaven, PR Officer for Devon & Somerset Fire & Rescue Service.